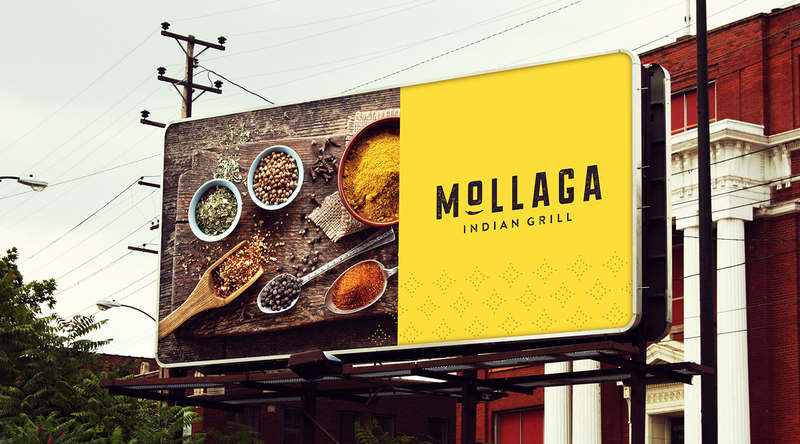 MOLLAGA is a fast-casual Indian grill that combines rich Indian tradition and authentic family recipes handed down over generations along with diverse Indian spices and herbs to serve healthy, naturally raised, delicious grilled Indian food using fresh ingredients in a visually pleasing ambiance, and service that elevates the customer’s culinary experience. The first location will be opening in New Jersey. 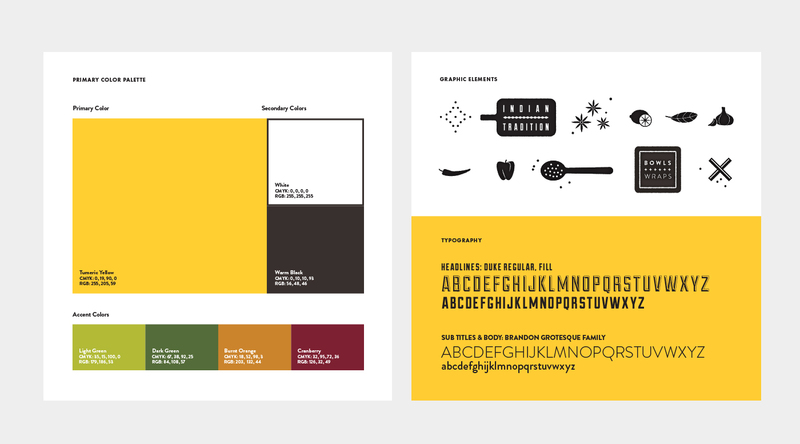 The goal was to design a brand identity system that would translate into all of the different touchpoints of a fast casual restaurant. The feel was intended to be bold, fresh and fun and avoid strong ties to a traditional Indian restaurant. 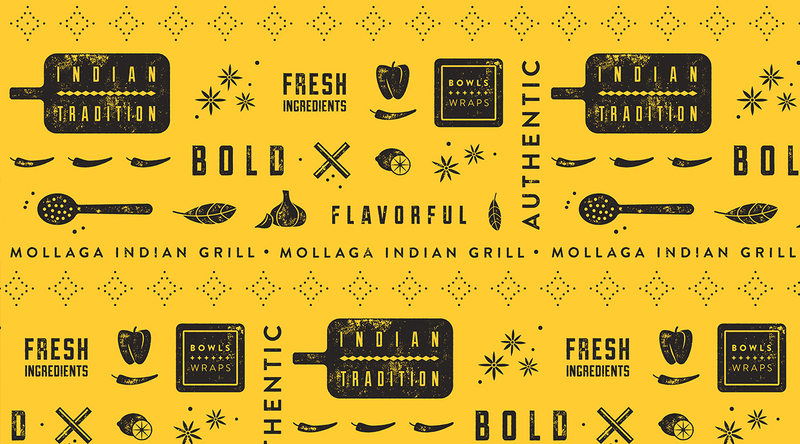 The patterns were developed as additional branding assets that will be used in the interior design as well as on the menu, takeout bags, etc. The pattern is a mixture of the unique ingredients and type that pulls out their heritage and represents the care and detail that goes into their food. It turned out to be the perfect solution that will translate well throughout the entire brand. Zafar (Owner) was very pleased with the final outcome. 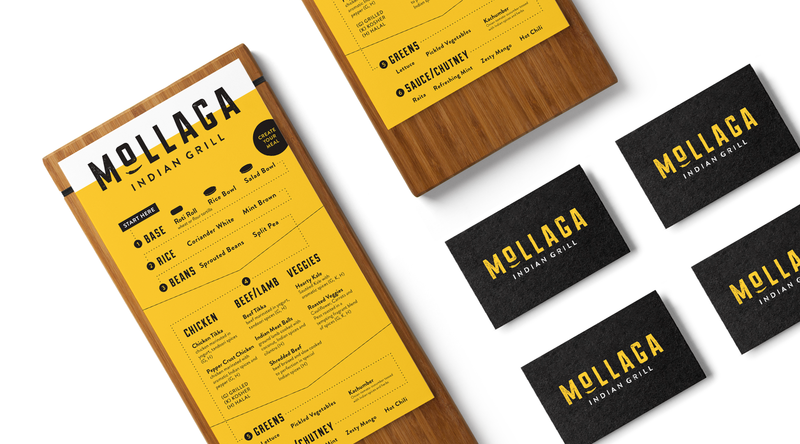 It embodied what he had envisioned for his brand identity and provided a foundation for the Mollaga brand for years to come. It was great working with our agency partner, Gourmet Marketing, to bring this project to life and we look forward to seeing how this brand grows in the future. 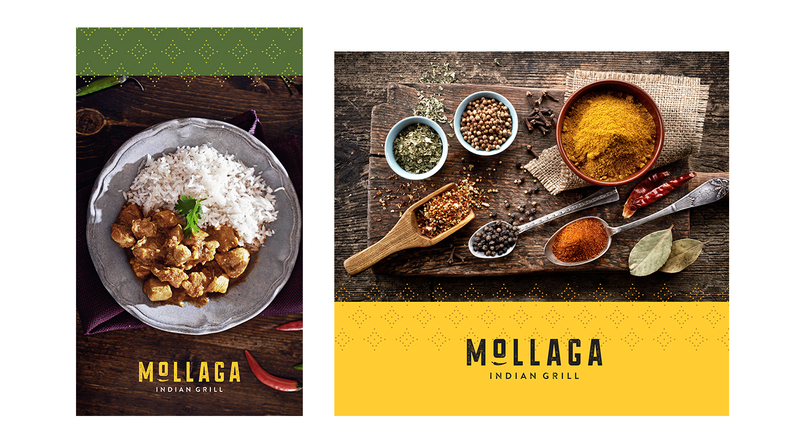 We wanted to establish a brand identity that grabs attention, and inspires people to try the Indian fast-casual concept that is fresh, fun and delivers an approachable bold flavor profile for the American palate. Longitude understood what we were trying to achieve and brought value in developing the brand.